The Retiro park appears as a peripheral hunting ground (not unlike other parks in many European royal capitals), east of the Prado creek, by then the urban limit of Madrid. 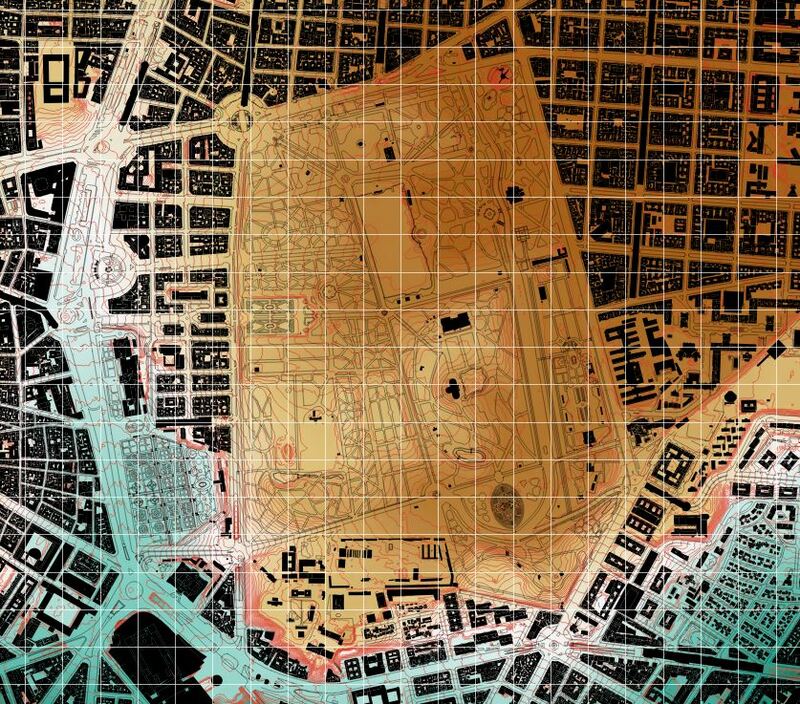 The Texeira map shows that garden as related to an essential part of its ensemble, the Palacio del Buen Retiro, now disappeared (not unlike what happens in Paris with the Tuileries garden and the palace that disappeared during the Commune). The Palace was on the natural ramp ensuring a clear link to the city; nowadays the Jeronimos neighbourhood and the Prado Museums compound have substituted it. South of the park the urban limit is much less clear; the Observatory sits atop a cliff facing Atocha, while north of Reina Victoria street the urban fabric is confuse. The south section of Menéndez Pelayo shows clearly the differences in level, but along the northern section and Alcalá and Alfonso XII the park is at street level. The park is not a flat platform, as the Palacio de Cristal shows, but the elevation variations are reasonably integrated in the design.